The male and female bodies have many variations. And so, the diseases they suffer are also sometimes different. Ultrasound is a way of diagnosing the internal structures of a human body with the use of high-frequency sound waves. If you are in need of getting an Ultrasound done, you can contact Arun Imaging, the best Imaging Centre in Delhi which provides clear and timely reports. Ultrasound sees the internal happenings in a body, such as internal organs, joints, blood vessels, etc. It is used to diagnose different diseases or problems in a woman's body. Breast Cancer – The test can find cyst formation inside a woman’s breast. If diagnosed and treated in early stages, the chances of survival get high in the patients. Usually, ultrasound of breast is referred to the women who are under 40 years of age. Fetal Imaging – It is a safe option for the mother and the unborn child to get a diagnosis through ultrasound waves. This test helps in noticing the different parts of the baby and his/her growth in the womb. If the child is having any deformity, it can be seen through this test. 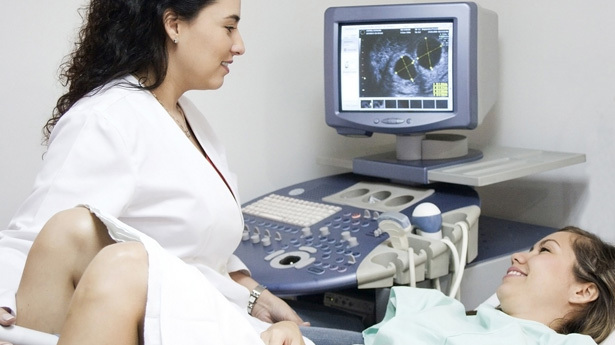 Gynaecology – Ultrasound is useful in detecting various conditions related to the gynaecological problems such as cyst formation, pelvic masses, endometriosis and others. Pregnancy – As the internal organs get visible through these waves, this test is useful in order to detect pregnancy. You can get your ultrasound or other imaging tests were done at our centre. We have a cooperative female staff that will make you feel comfortable if you have to go through Transvaginal Ultrasound in Delhi or other imaging tests. We promise to deliver accurate results in a short span of time. Call now to book an appointment.